"Personally, I've got this thing against men who harm children and women, and that makes me dangerous." There's no denying the cultural and commercial success that Steig Larsson's Millennium Trilogy gained. 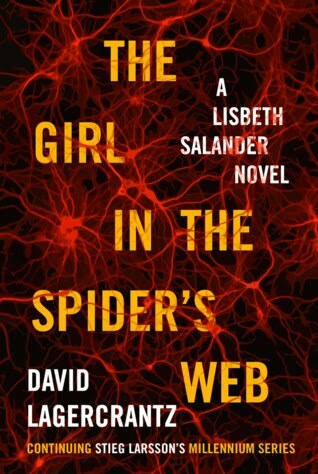 Beginning with the stellar The Girl with the Dragon Tattoo, Larsson's series placed a spotlight upon violence against women and featured the game-changing protagonist and titular "girl" Lisbeth Salander. Tragically, at the time that the books were reaching their success, Larsson passed away, leaving plans for a fourth and fifth novel abandoned. After a much-publicized legal battle between Larsson's family and domestic partner, author David Lagercrantz has taken on the role of continuing the story of a character who re-defined a genre. For the most part, Lagercrantz does an admiral job at faithfully honoring the world that Larsson depicted. The Girl in the Spider's Web begins with someone hacking into the US NSA mainframe and accessing files that could be detrimental to world security. We quickly learn that the someone in question is none other than the punk-goth hacker Lisbeth Salander. Who else could be responsible for such a high-scale and technically difficult hack?! The novel also sees Mikael Blomkvist face the struggling print industry. As the lead reporter and co-owner of the Millennium Magazine, Blomkvist feels a personal responsibility to bring a high-profile piece of investigative journalism to help boost sales and notoriety. Leads have been thin, but Blomkvist is optimistic about his recent contact with a noted professor. The professor is renowned for his advancement of artificial intelligence and promises to give Blomkvist a scoop that could bring the entire industry to its knees. They just have to survive long enough to see the investigation to fruition. True to form, The Girl in the Spider's Web offers a complex and darkly tinged plot full of cutting-edge technology, suspenseful twists and revelations, and the edgy characters we have come to expect. Like the previous novels, the novel takes a bit of time to establish the interwoven story elements, but it quickly kicks into action about 15% in. While Lagercrantz never pushes the characters to the shocking and graphic places that Larsson did, he still does a fine job at continuing their story. I was delighted to be able to read a continuation of both of them. The novel is definitely different from the trilogy that preceded it, but Lagercrantz hits enough of the established beats to satisfy readers of the earlier novels. I'm definitely looking forward to reading more about Salander and Blomkvist in the next novel. The 2016 presidential election of Donald Trump seemed to usher in a new era of division amongst the American people. President Trump has become known for his unfiltered, off-the-cuff remarks that leave many within the country feeling alienated and offended. Our country has always featured differing ideas and been the better for it, but now it seems like there are is only my side and your side. We seem to have lost the in between space. At a point in history where Americans seem more divided than ever, legendary newsman Dan Rather seeks to discover What Unites Us. You'll probably be surprised to find out that little of Rather's book focuses on criticizing President Trump. Rather has been a vocal critic of the President on his Facebook account, but true to the title of the book, Rather focuses more on finding constructive ideas to get the country back to a place of civility and productivity. In fact, I'd argue that both Rather and the President want to "Make America Great Again." The only difference, is that Rather argues for a return to the ideals that have always made the country great while still allowing for scientific and social progress. The book is comprised of several detailed essays that each follow a similar structure. Rather focuses on a single topic (anything from patriotism to inclusion) providing historical context based upon his years as a reporter, comments upon the evolution of that ideal throughout history, and ends with suggestions on how we can return to the basis of that idea today. He includes many personal excerpts that highlight his own reconciliation with some of the topics he writes about. As a child of the south, Rather had his own evolutions in regards to racial equality and sexual orientation. He recognizes that not every person will come to the same conclusion in the same ways, but the tide of social progress inevitably moves forward. Regardless of political leanings and opinions, What Unites Us is a collection that all readers will be able to relate to and find value within. 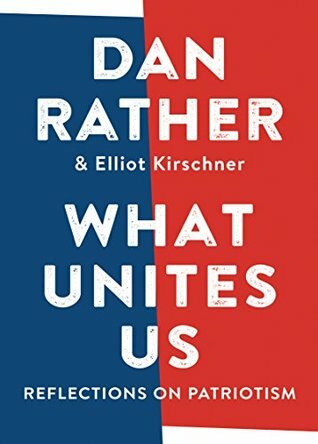 Rather and his writing partner Elliot Kirschner have assembled a collection of ideals and beliefs that are both extremely relevant to our current political climate and timeless in their relation to the morals that America has always cherished. The writing is never preachy. Instead, each essay attempts to start a national conversation about the things we as the American people hold dear to us. Hopefully, this book is the tipping off point for those conversations to begin across our nation. Ernest Cline's Ready Player One rocked the literary world with a killer combination of 80's pop culture references, relatable characters, and a clever adventure story. The novel had such a broad appeal that a movie version was inevitable. Enter Stephen Spielberg, a director who built his career making the kinds of films that Cline's novel holds in such a high regard. Despite the status of cultural icon, choosing Spielberg to direct a big-budget sci-fi/action movie was a seemingly risky idea. He may have built his career on the epic scale movies that Ready Player One was destined to become, but he has focused more on smaller budget, historical films over the last ten years. Still, if anyone was up to the task of making Ready Player One into a hit, Spielberg was still a pretty safe bet. 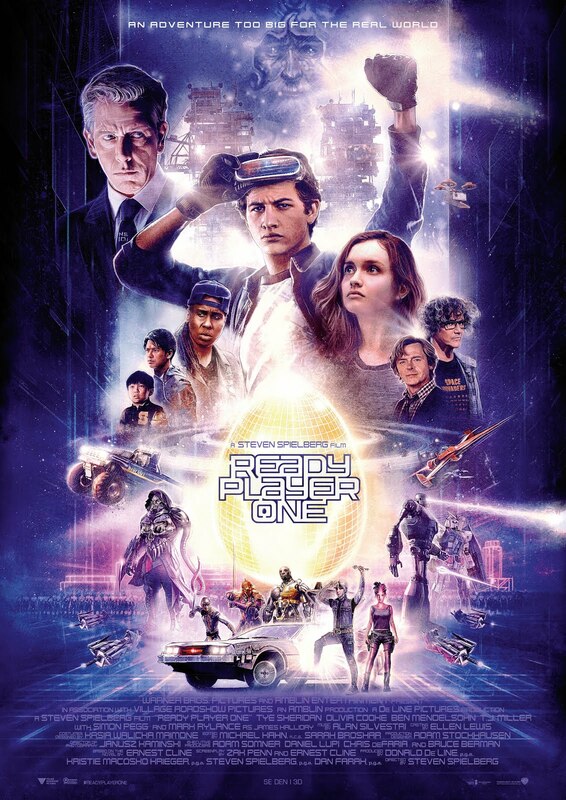 Like the book, Ready Player One revolves around Wade Watt's journey through the Oasis to capture Halliday's Easter Egg. It is the 2040's and Watts is living in the slummy stacks, a towering collection of run-down mobile homes. At this point in history, man has explored every piece of earth and nearly depleted all of the natural resources. People largely take refuge in The Oasis, a virtual world that was crafted and governed by the genius James Halliday. When Halliday dies, he reveals that an easter egg has been hidden within the codes of his world. The finder of the egg will take complete control of The Oasis. Beyond that premise, the book and film version of this story take very different directions. While both stories see the characters facing three challenges to ultimately reach the egg, the book and movie challenges are completely different. In the novel, the challenge are more about the mind than physical acts. Because film is a visual medium, Spielberg elects to make his challenges involve physical tasks and visually unique settings. Smartly, the film broadens its appeal by making references that are more widely known than the specific video game and Dungeons and Dragon lore. To be fair, keen eyed viewers will still spot several references that were mentioned in the novel, but there are more nods to different pop culture icons that there were in the book. I'm usually not a fan of movies that stray too far from the book, but Ready Player One ends up being an exception to that rule. With Cline co-writing the screenplay, the film maintains the spirit of the novel while offering a fun and visually dazzling experience. For his part, Spielberg proves doubters that he still has the ability to make the kind of movies that have been missing from his filmography for the past 10 years. I'm happy that I can now enjoy both the movie and book for the wonderful and unique pieces of pop art that they both are. Ever since reading and enjoying Hag-seed, Margaret Atwood's splendid re-imagining of Shakespeare's Tempest, I've faithfully kept track of the other installments in Hogarth Publishing's ambitious Shakespeare project. 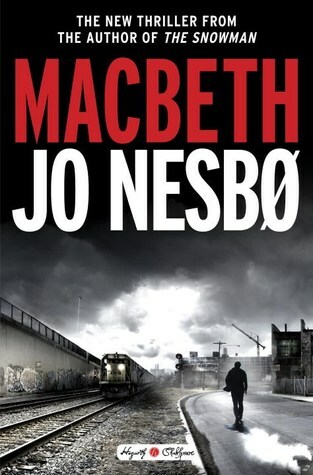 The more recent efforts have been somewhat lacking, but I've still been eagerly awaiting Jo Nesbo's take on Macbeth. I enjoyed reading many of Nesbo's Harry Hole novels years ago, so I was excited to see the master of dark, Norwegian crime novels take on Shakespeare's darker work. True to his bare-bones approach to writing his bestselling novels, Nesbo wisely stays close to the source with his retelling. His Macbeth is set in the middle of a 1970's drug war. Chief of Police Duncan battles notorious drug lord Hecate. Hecate plans to use SWAT officer Macbeth to see his own agenda advanced. Macbeth has always strayed into the gray area of the law and has no problem falling into a path of lawlessness. Nesbo has a penchant for writing darkly persuaded characters with a depth and empathy that is second to none. I couldn't help but compare his Macbeth to Harry Hole. Fair or not, Nesbo's Macbeth never reached the fully drawn level that I've come to expect from him. Consequently, it was rather difficult to root for this protagonist. Still, Nesbo is a pro and managed to give his story a suspense that I've never felt in the play. Despite a few gripes, I found myself enjoying this retelling and constantly reveling in the connections to the original work. Jo Nesbo has a signature authorial style that transcends his novels. Fortunately, this unique voice found itself front a center of this version of Shakespeare's classic. While I still think Atwood's retelling was more satisfying, Nesbo's Macbeth comes in a close second. We have a few years now until Hogarth releases their final announced novel in the collection. With a strong effort from Nesbo, I'm eagerly awaiting Gillian Flynn's take on Hamlet in 2021. "We had the stars, you and I. And this is given once only." I wouldn't have been aware of Call Me By Your Name if the film adaptation had not been the critical success that it is. I try to watch all of the Oscar nominated films each year, but I skipped this one to read the book first. The book is almost always better than the movie, so I knew I would be in for a treat. I couldn't have anticipated the pure, raw emotional reaction that I was about to have to this novel. Elio is excited to meet the latest student to occupy his parent's home on the Italian Riviera. Each summer, they invite one graduate student to live and study in their little slice of paradise. When Oliver arrives, there is an immediate connection between him and Elio. Though both try to hide their feelings, they simply can't be denied. What follows is a love story that is so emotionally demanding that I could hardly bear to keep reading it. Through the course of the novel, Elio must come to terms with his sexuality and learn how to manage his feelings of love and lust. As people of academia, his parents are not too concerned about their son's sexual desires, but Oliver is less certain. Oliver is seen as a ladies man and Elio worries that the feelings may not be as mutual as he wishes them to be. Call Me By Your Name has no right being as good as it is. 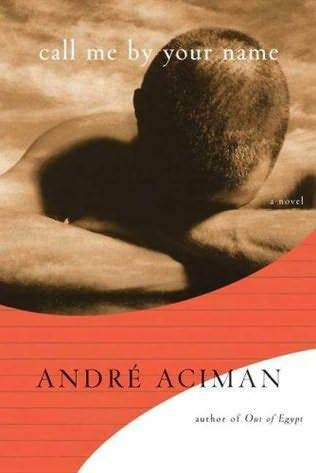 Aciman's writing is bare bones and often leans to precariously into cliche. There's poetry, music, and the kind of daring sexual description that screams of an attempt at literary greatness. Still, there is something about the characters that drew me in and would not let go. Several times, I resolved that I wouldn't be able to write a positive review, yet here it is. I was deeply moved by the forbidden love of the story and heartbroken by the ending. My bet is that your reaction will be similar. I've yet to watch the movie, but if it comes anywhere close to the emotional triumph of the novel it will be great. For more information, visit Amazon, and Goodreads.